Electric ladders are a smart and safe alternative to using industrial step ladders in the workplace. These smart ladders reduce the risk of falls by allowing workers to access heights quickly and safely. A compact size also allows them to access tight areas and even access doorways and elevators. 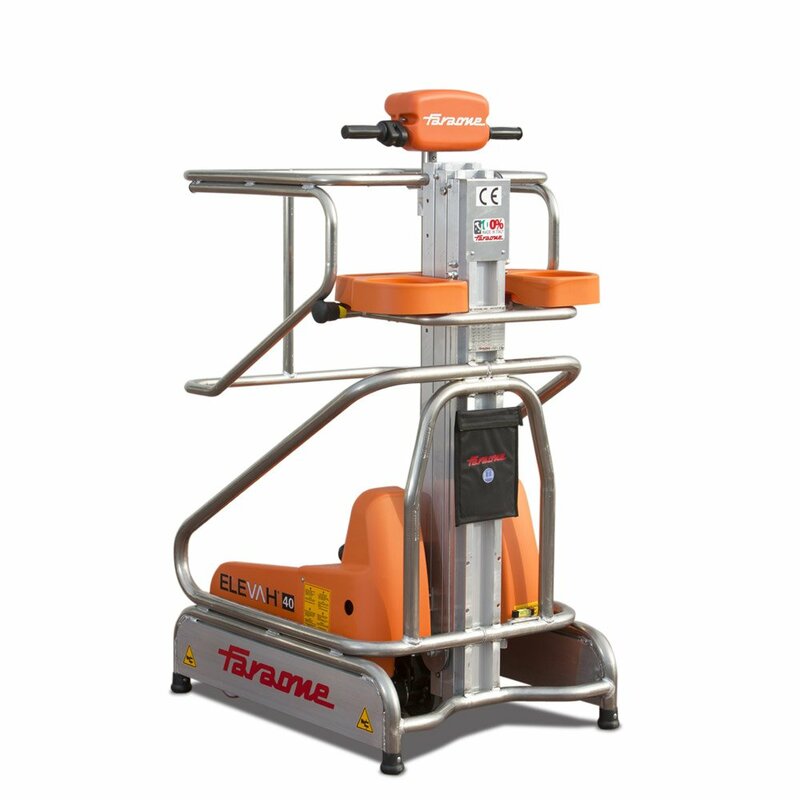 They offer a working height of 4 metres and can accommodate one person and tools with a 150kg lift capacity. Storage compartments also provide necessary space to store tools or containers when working at height. For maintenance, installation and cleaning applications, the elevah electric ladder is the perfect platform for any business.